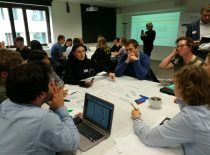 The students of the innovative universities in Europe think that university should educate problem solvers, thinkers, and not specialists of certain narrow area. However, they agree that universities will not disappear and teachers will not be replaced by robots. 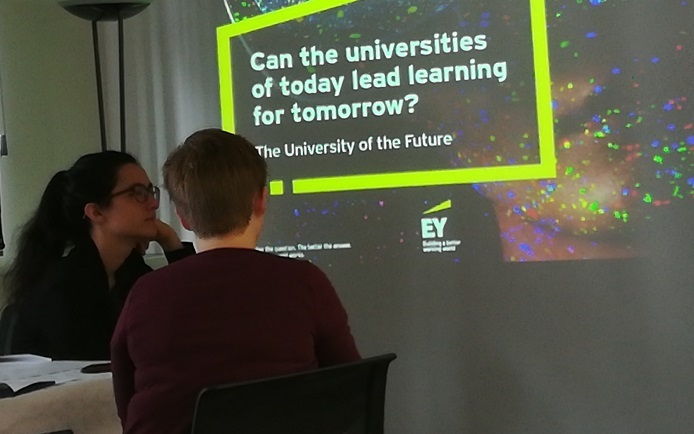 These and other ideas aroused after the discussion during a conference “Learning for Tomorrow, Today: Future Fit Universities for 2040” organised by European Consortium of Innovative Universities. Two Kaunas University of Technology (KTU) educational science master’s students – Brigita Miseliūnaitė ir Aurelija Valantonytė – took part in the student discussion Future Fit Universities 2040 on university future. Such a discussion for ECIU students was organised for the first time. 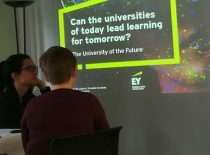 Summarising the discussion, students said that although nobody can say for sure what universities will be needed after 20 years, the common tendency is clear – the universities will remain, will influence the society, but will also have to ensure flexibility, accessibility and quality. 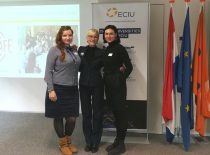 “The discussions revealed that there cannot be one universal higher education model for all”, said Lithuanian students who participated in the discussion. 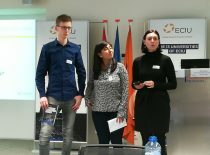 During the discussion students emphasised choice and flexibility, the importance of communication and possibility to control study process, to choose needed competences. All the students maintained that in the future, there should be different universities: remote and traditional, state and private, etc. It has been pointed out that in order to develop life-long learning paradigm there is need to change the attitude of society and higher education traditions. For example, if a person understands that he or she lacks certain competences while already working, they can come back to the university to study just these subjects that are needed. The students are convinced that more practical training providing hands-on experience is needed in university education. The following values of future education were defined: democracy (citizenship), cooperation (all participants are constantly learning), practice communities (leadership, values come first), systemic internal changes, learning and studying competences. The main challenges of contemporary education: changing role of teacher/educator, future-focused study content, cooperation of public and private sector in financing higher education, involving students into higher education for life, to become more flexible towards studies and students, to improve flexibility and accessibility of studies. 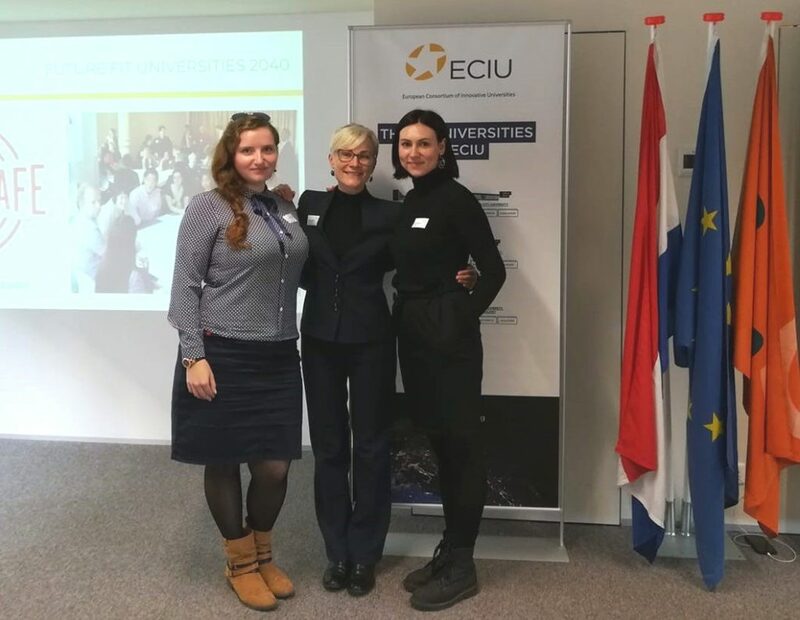 The ECIU conference “Learning for Tomorrow, Today: Future Fit Universities for 2040” took place in Brussels (Belgium). 20 students from ECIU partners universities took part in the conference: Aalborg University (Denmark), Dublin City University (Ireland), Hamburg University of Technology (Germany), Linköping University (Sweden), Tampere University of Technology (Finland), Tech de Monterey (Mexico), Nottingham University (United Kingdom), Autònoma de Barcelona (Spain), University of Aveiro (Portugal), University of Stavanger (Norway), University of Twente (Netherlands). 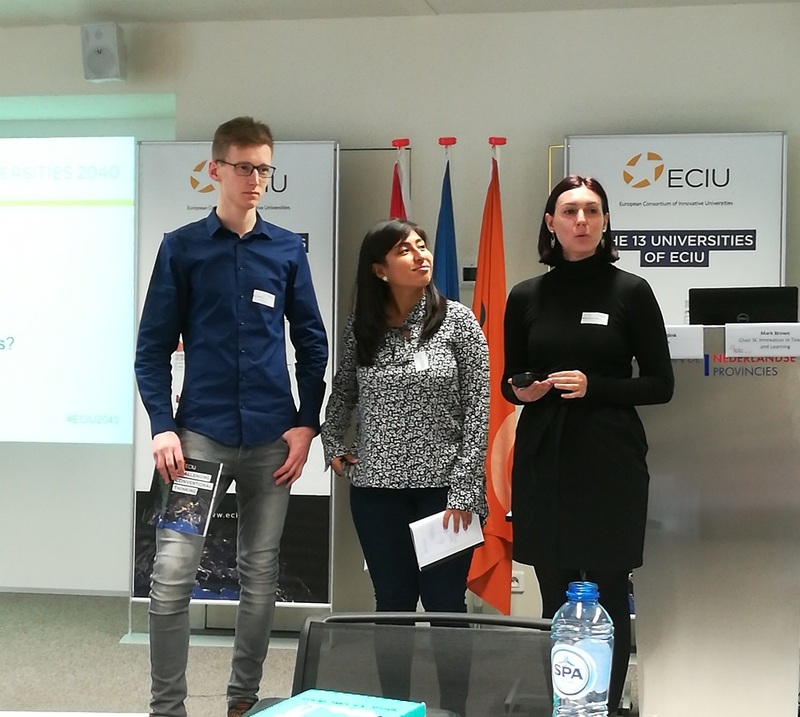 This was the first time when the students were leading the discussions, raising questions related to the future of European higher education. The University’s of Twente (Netherlands) report on the discussion here.